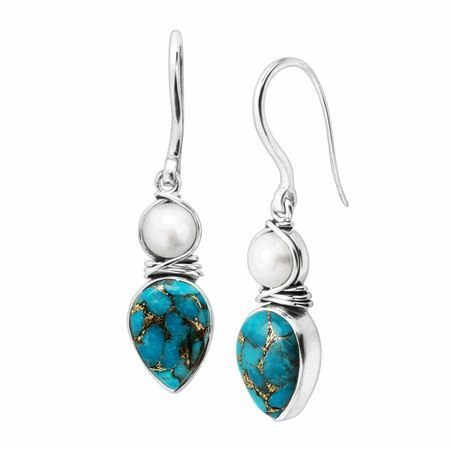 Stunning copper turquoise shines when paired with freshwater pearls, stationed at the top of each show-stopping earring. Earrings measure 1 13/16 by 7/16 inches and feature French wire back findings. Pieces come with “.925” sterling silver quality stamps as symbols of guaranteed product quality.